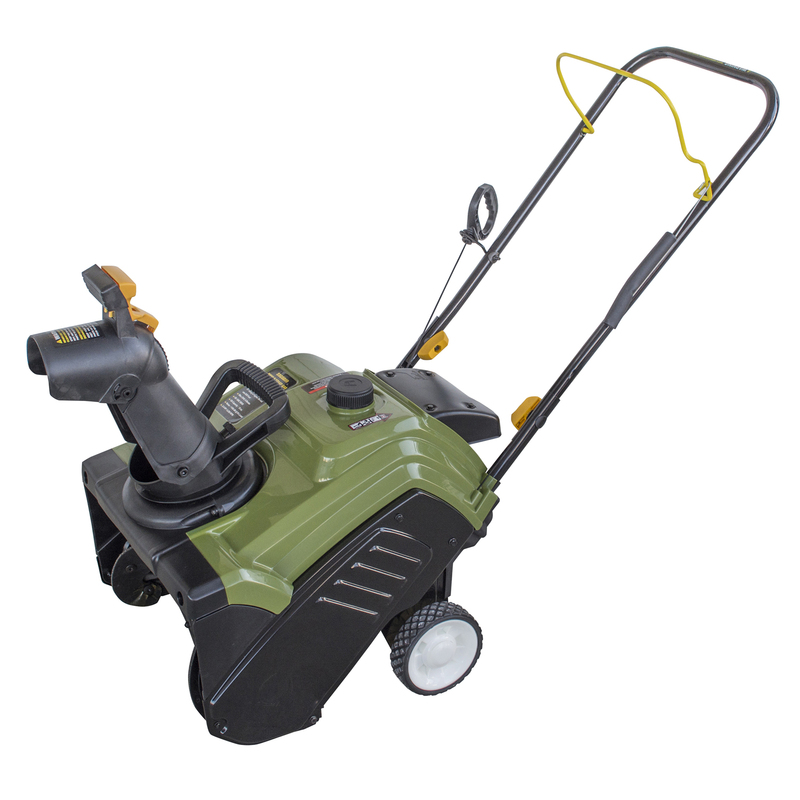 BRIGGS & STRATTON� DUAL STAGE SNOW THROWER, 250CC, ELECTRIC START, MEDIUM DUTY, 27 IN. BRIGGS & STRATTON� DUAL STAGE SNOW THROWER, 250CC, ELECTRIC START, MEDIUM DUTY, 27 IN. YM179SM21ES 179cc 4 Cycle engine, Electric Start, 21" Width, Push Type Yard Man Snow Thrower. YM179SM21ES 179cc 4 Cycle engine, Electric Start, 21" Width, Push Type Yard Man Snow Thrower. 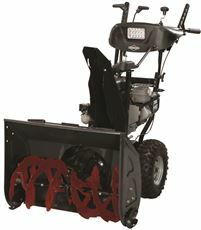 YM277SB28ES 277cc Engine, 28" Width, 6 Speed Forward/2 Speed Reverse, Electric Start, Yard Machines Snow Thrower. 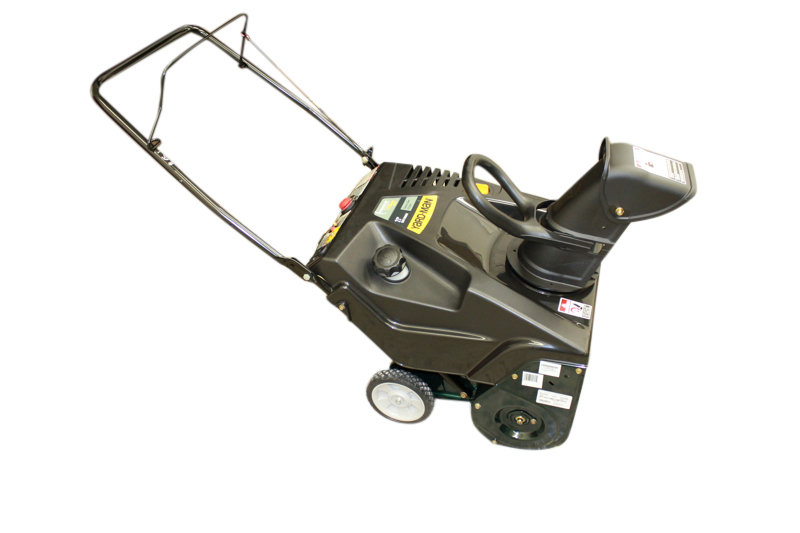 YM277SB28ES 277cc Engine, 28" Width, 6 Speed Forward/2 Speed Reverse, Electric Start, Yard Machines Snow Thrower. The Sportsman Series Single Stage 18 in. Gas Powered Snow Blower makes snow day tasks easier. Use the Snow Blower to clear up to 10 inches of light, fluffy, snow off paves surfaces like walkways and driveways. The chute defector easily adjusts 210 degrees left to right, and 60 degrees up and down, so the snow blows exactly where you want it. The lightweight but powerful Single Stage Blower is easy for almost anyone to use. The compact design with fold down handle is easy to store in the off season. Overall clearance is 18 inches wide with a 10 inch working snow cutting depth. Max working width is 18 in. wide with a max working height of 10 in.